This game is great despite having flaws. With the blood code the original arcade fatalities are replicated in some form. The gameplay is good with a six button controller. Although most of the music is new it is great. 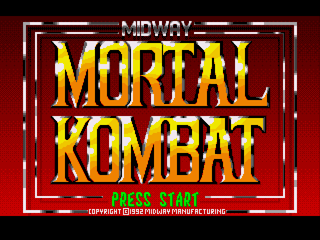 The title screen theme from the arcade game is present and the composition really pumps you up for the game. The graphics are servable though not as true to the arcade as the SNES version. All the moves and secrets from the arcade seem to be here. Overall a good port of the arcade game.